Writer and broadcaster, Janice Ross grew up in Whitlawburn, Cambuslang. She attended the junior school at the Royal Scottish Academy of Music and Drama where she acted with household names of Scottish television and theatre, but at six feet was too tall to be an actress in Scotland. Janice has an MA in English, an Msc, an MRes, and is putting together a doctoral thesis on the art of blethering. After a six month supply teaching post in Benbecula Janice found her spiritual homeland in Barra. Author Christopher Brookmyre; poet Donald Murray; the late trade union leader, Bob Crow; Professor Sir William Stewart, Chief Scientific Officer to the UK Government 1990-1995; Alasdair Allan MSP, Iain McColl of the Screen Machine; and Donnie MacNeil, Drummer of The Vatersay Boys, are a few of those Janice interviewed on her community radio programme Barra Island Discs, a light entertainment programme for Siar FM. 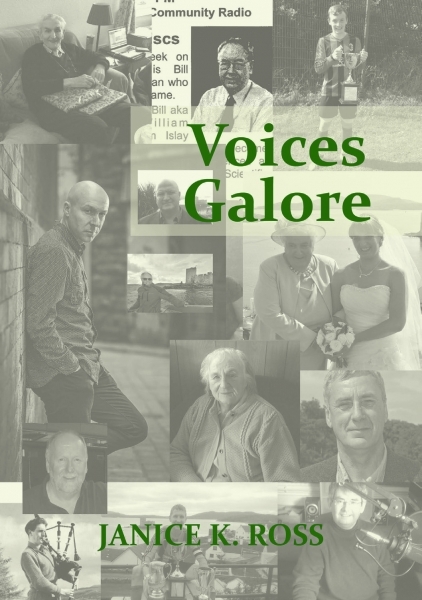 Though selection of the thirty stories in Voices Galore was not easy, Janice chose those that helped create her view of the island during the years the show has been running. They reflect its make up in terms of those who live on Barra all year round, and those who go to seek its abundant gifts. 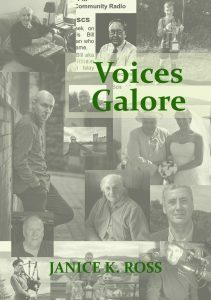 Voices Galore presents the story of an island community at the beginning of the twenty first century as told by itself. With humour and a pinch of ‘derring-do’, Janice and her guests share life-stories, providing a glimpse of the rich cultural history of the remote island community bounded by the Atlantic Ocean on the west side and the Minch on the east. Themes such as identity, community, family, employment and education, common to all communities, can be found, along with a fierce defence of the Gaelic language. 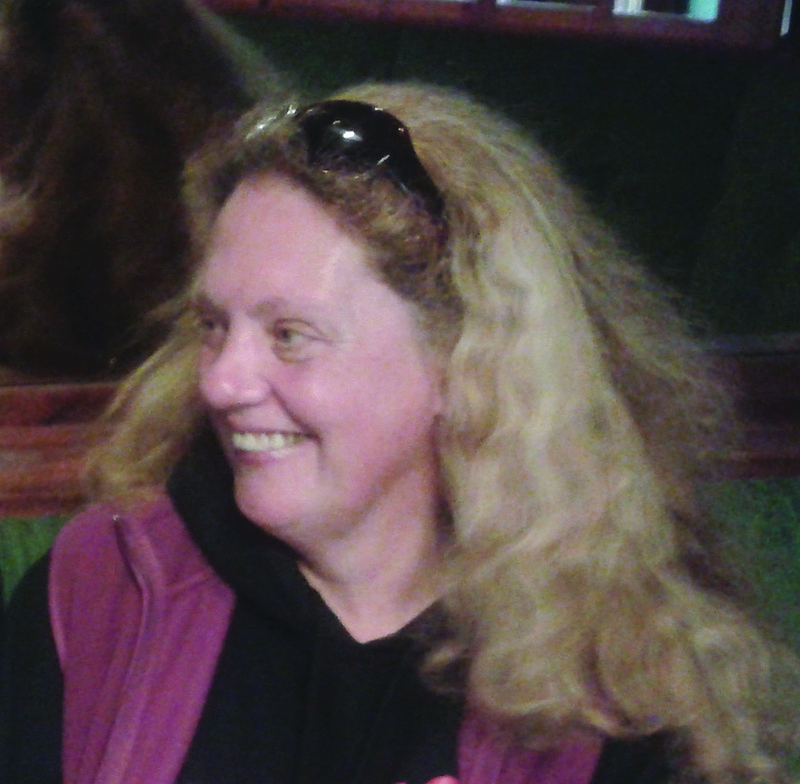 The show provides Janice with a unique insight into the small Hebridean community, an opportunity to get to know people as well as recording their voices for historical and cultural purposes. In her interviews Janice strives to convey a sense of the uniqueness, the individuality of each person’s life and their contribution to the island community. These stories will resonate with those who live in rural areas, especially those edged by the sea. They conjure up a way of life that is now receding into history. Janice believes channels of communication like community radio offer new ways of retaining knowledge of that life.